A Mardi Gras Celebration Without the Trip! There are only 4 days left until New Orleans begins their Mardi Gras celebrations. These celebrations originated in Medieval Europe but are now celebrated in New Orleans, Louisiana. If you don’t have the budget or schedule to visit New Orleans, bring Mardi Gras to you! I have great ideas on hosting a Mardi Gras event for family and friends right at home. You can’t start a Mardi Gras bash without festive invites. I have a neat idea for some easy, and inexpensive invites. You can purchase colorful beaded bracelets or necklaces from your local party store and attach metallic tags with the event information. Print the party details on a 2” x 3” space on gold metallic cardstock. Cut it out and attach to the beaded necklace with wire or string. Your guests can even wear the bead portion of their invite to the party – how fun! Don’t forget to remind your guest on the invitation to dress up in their wildest costumes and masks! To get guests to participate, You can host a costume contest for the most impressive outfit. The winner can be given a gift card to their favorite coffee shop or eatery! While people often think to go to their local party store to purchase their costumes and masks, why not make yours stand out from the rest by decorating it yourself? To successfully pull of the “Mardi Gras” feel, you’ll need the have the right decorations at your party. Decorate your home or backyard in bright, traditional colors used in celebration of Mardi Gras: purple, green and gold. The King Rex chose these fabulous colors in 1892 to represent justice (purple), faith (green), and power (gold). Here’s a neat trick: you can really change the mood in your home by changing your lightbulbs into the traditional colors of Mardi Gras! Also, make sure to use colorful tablecloths to make your display tables stand out! Your partygoers will probably need some foods to keep them going throughout the night. Here are some delicious Louisiana-style recipes you can share with your guests. 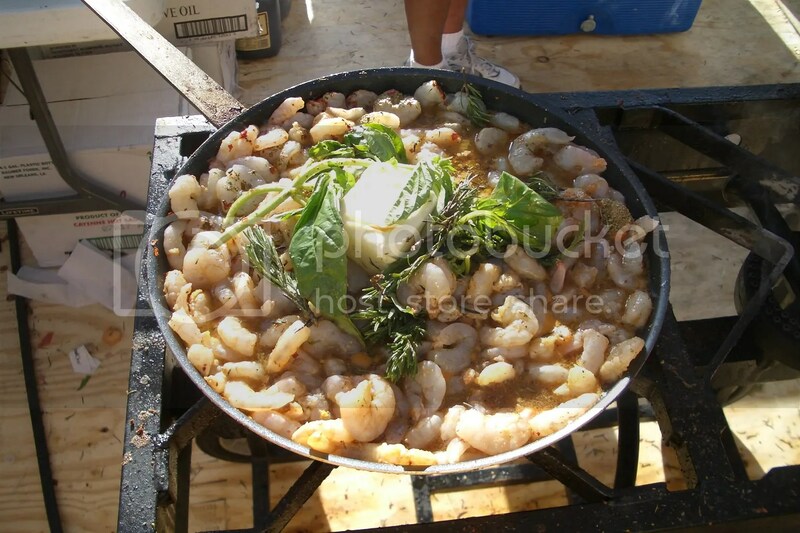 You can even encourage your guests to bring their favorite bayou-inspired dish or cocktail to bring some great variety of dishes to your event! Stir shrimp with 1 tbsp of olive oil, lemon juice, Worcestershire and Cajun seasoning in a medium bowl. Heat enough oil to thinly coat you pan on medium heat. Add onion and garlic and cook until iridescent. Add the soup, milk, paprika and hot sauce. Bring to a boil. Add the shrimp mixture. Reduce the heat to low. Cover and simmer for about 5 minutes or until the shrimp is done. Serve with oven warm cornbread or biscuits. This is an easy recipe and always a classic party dessert enjoyed by many. 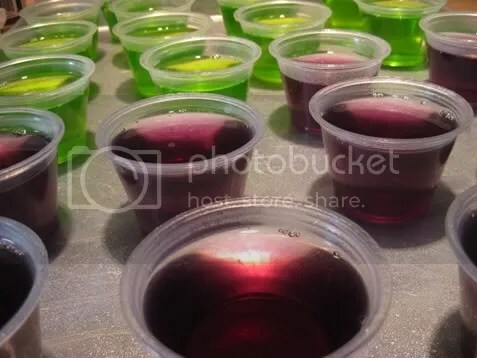 To keep the Mardi Gras theme, choose Jello flavors that fit the green, gold and purple color scheme. Make Jello according to package instructions, with the exception of adding the last portion of cold water. You will substitute the cold water for your favorite vodka. Wait 3-4 minutes for the gelatin and hot water mixture to cool otherwise it will burn the alcohol out of the vodka. Add vodka to gelatin mixture and stir. Pour the mixture into small plastic shot glasses and chill until gelatin is set (about an hour). *If you prefer to not have your guests too tipsy, you can substitute half of the alcohol portion of the recipe with fruit juice. However, make sure the fruit juice compliments the flavor of Jello you are using for the recipe. As you can see hosting your own Mardi Gras bash is easier then you thought! With these great ideas your party will come alive for your family and friends and everyone will be sure to have a blast!